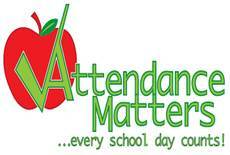 As you will be aware, children’s good attendance at school is crucial to ensure they reach their full potential. As a school, we are continually looking for ways to promote and reward good attendance so to this end we wanted to share with you how we do this. After carrying out significant research, the Welsh Government is placing strong emphasis on improving attendance levels in all schools.The research carried out clearly shows that the more regularly a child attends school, the more they will learn and achieve.The Welsh Government challenges all pupils to attend for at least 97% of the school year. This would mean that they have no more than 6 days off from school each year.At High Cross Primary we are committed to providing your child with the best possible education and ensuring they achieve to the best of their ability. Please support us with this by making sure your child attends school on time and every day. We now use the Welsh Government’s new ‘Callio’ attendance tool. We are monitoring attendance very closely and will write to you every term advising you of your child’s % attendance for that term. This reflects the actual number of days your child has been in school. We appreciate that there may be reasons behind low attendance such as authorised holidays or authorised medical appointments which will be taken into account. Please see the table below for the Green, Amber and Red bandings and what this means in terms of days off school. Each week, the attendance of each class is calculated and recorded on the ‘Attendance Board’ in the Foyer.The class with the highest attendance overall will receive the ‘Attendance Trophy’ which they will keep in their class for the week. INDIVIDUAL ATTENDANCE - Each week, children with 100% attendance will receive points; these will be issued to the children’s relevant house colours. Points accumulated will go towards ‘Sports Day' House Teams final score. At the end of the Autumn Term, those children who have had 100% attendance all year will attend a ‘Cinema trip’ with the Head Teacher and staff. Certificates will also be issued within the school year. CLASS ATTENDANCE - Each week, the attendance of each class is calculated and recorded on the ‘Attendance Board’ in the Foyer. The class with the highest attendance overall will receive the ‘Attendance Trophy’ which they will keep in their class for the week.